Three magic words for sales greatness – This is a comprehensive look at the crucial role played by research and preparation before every sales call. We guide the sales professional to build a profile on the organisation, the individual and how they can add real value to them. This is done in a very systemised fashion. Breaking out of a sales slump – This is a very inspirational, systematic approach towards optimal use of the sales professional’s available time. 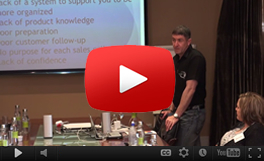 I teach a simple approach, to improve the level of focus, prioritisation and use of the sales day. Networking for success – The support you get from an effective, carefully chosen support network will make succeeding as a sales professional feel effortless. We will teach you very effective skills, which will allow you to easily network and form successful supportive relationships with people, who will help you succeed as sales professionals. It will feel like you have a travelator under your feet, speeding you along the path of success. Mutually beneficial connections with the right people is the catalyst, which will accelerate your ability to achieve all your sales goals and dreams. Generate sales and build relationships. Manage the right sales activities.